Our Metal Stamping facility has the ability to press complex shapes and materials for multiple industries. All projects are supported by tooling, project engineering, part development, material acquirement and production readiness. 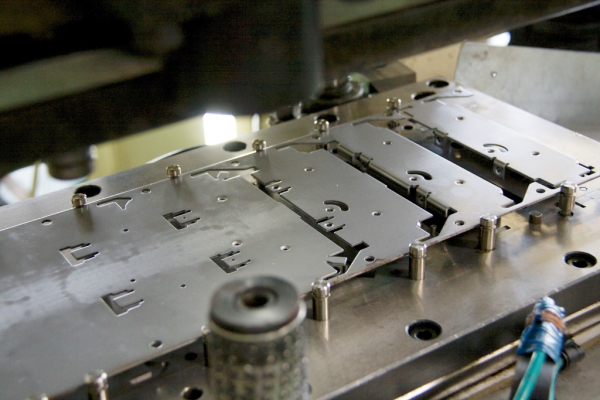 We are able to support you right the way through your metal stamping requirements. Need help dealing with complex materials? A variety of materials can be accommodated including titanium, stainless steel, brass, bronze, aluminum and complex based copper based alloys. This experience of dealing with complex materials and coatings, as well as finished processes, can help support the client’s product development.